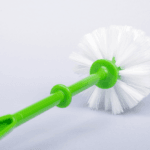 A toilet brush cleaner does one of the dirtiest, yet also one of the most important jobs in the bathroom. As such, it should be cleaned properly so as to maintain the highest levels of hygiene. Most people assume that a simple rinse or a dip in the water swirl from the flushing action is enough but this does not cut it. Heat some water until it is boiling hot. Fill a bucket with the hot water and add a few cups (about 500ml) of bleach inside. If you have tablets, add two to three of them, but you can also follow the specifications given on the bottle. An important thing to note is that you should use a bucket that is deep enough to submerge the brush inside fully. If you don’t have a bucket, the toilet bowl can also be used as a container. Simply pour in the hot water and add the bleach. How to replace toilet guts? How To Replace Toilet Gasket? Once the hot water-bleach mix is ready, submerge the brush for about an hour. Take care not to splash the water around because, with a high concentration of bleach, it is slightly acidic. This might be very irritating if it gets to your skin or eyes. For safety, wear a pair of gloves then drop in the brush slowly and carefully. After bleaching for one hour, rinse the brush in water. Dip it in hot water for at least a minute so as to decompose the active bleaching agent. This will leave the bristles bleach-free and safe to touch with your bare hands. Set the brush aside to dry on its own before storage. A big mistake that people make is to store the brush while wet and this may lead to bacteria and fungus growth, which makes the whole cleaning process pointless. 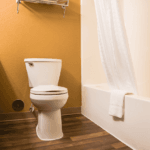 How To Replace Toilet Flapper? How to Repair Toilet Flange? Some people prefer to use environmentally friendly cleaning methods as opposed to the harsh chemicals in the name of bleaching agents. If you are such a person, you can use white vinegar and baking soda. Simply soak the brush in vinegar as opposed to bleach then sprinkle the brush using baking soda. After this, remember to rinse it using clean water and for the best results, use clean hot water. An important to note that, just like in the steps above, always remember to let the brush dry up first before storage. 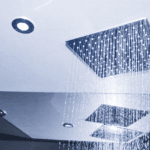 It is recommended to repeat this cleaning process at least once a month in order to maintain high levels of hygiene. 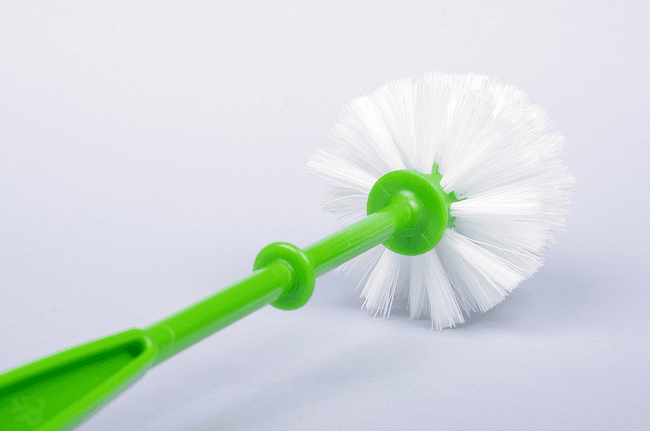 Even if you rarely use the brush, remember that once used to clean the toilet, the water in the bowl transfers a lot of bacteria to the bristles. Also, as part of maintaining the toilet brush cleaner, remember to clean the brush holder too so that both of them are cleansed at once. Hi, this is Alida Wolk. I am an interior decorator and a home renovation specialist. I am always looking for new and reliable products that add value to your home. I am currently working as the chief editor of allabouttoilet.com. 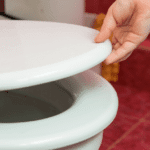 How to Use Toilet Seat Cover Properly? 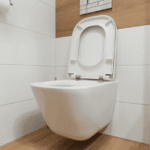 Allabouttoilet.com is a participant in the Amazon Services LLC Associates Program, an affiliate advertising program designed to provide a means for sites to earn advertising fees by advertising and linking to Amazon.com. Amazon, the Amazon logo, AmazonSupply, and the AmazonSupply logo are trademarks of Amazon.com, Inc. or its affiliates.